Variety is the spice of life. It entertains us and beguiles us, forever feeding our wonder and curiosity about the world. But variety is also life’s substance. Biodiversity – the variety of life forms on earth – plays an essential role in sustaining the ecosystem services, such as food, water and energy, that we and other life forms depend on. Despite its value, however, biodiversity is threatened by human activities to an extent never seen before. The planet is now on the cusp of its sixth mass extinction and the survival of our species is in question. How has this situation come about and what can we do to change it? 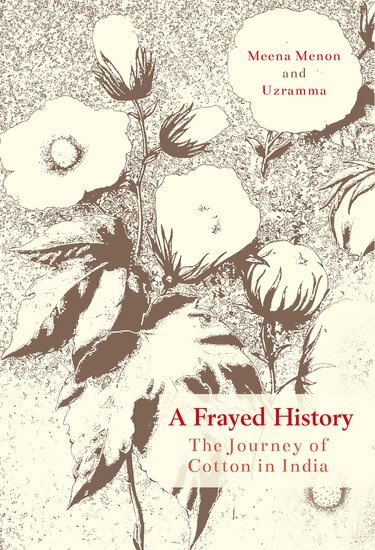 In their book, ‘A Frayed History’, Meena Menon and Urzamma explore this question by looking specifically at the case of cotton in India. Across the world, cotton’s journey over the past century has been one of radical transformation from a diverse species, with many adapted varieties, into a uniform commodity with one dominant variety. 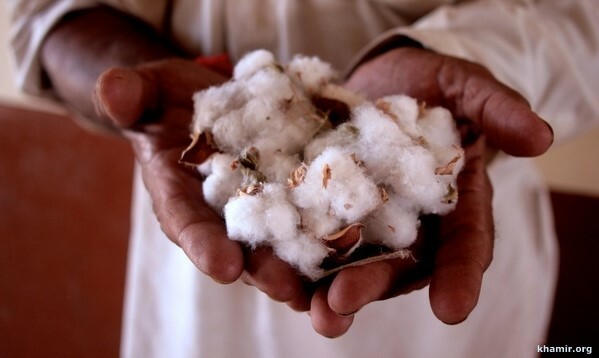 In India, this drive towards commodification has been particularly extreme and it has affected not only cotton, but also the textile industry as a whole. A Frayed History traces this transformation and argues that the biggest change has been to the system of textile production as a whole. 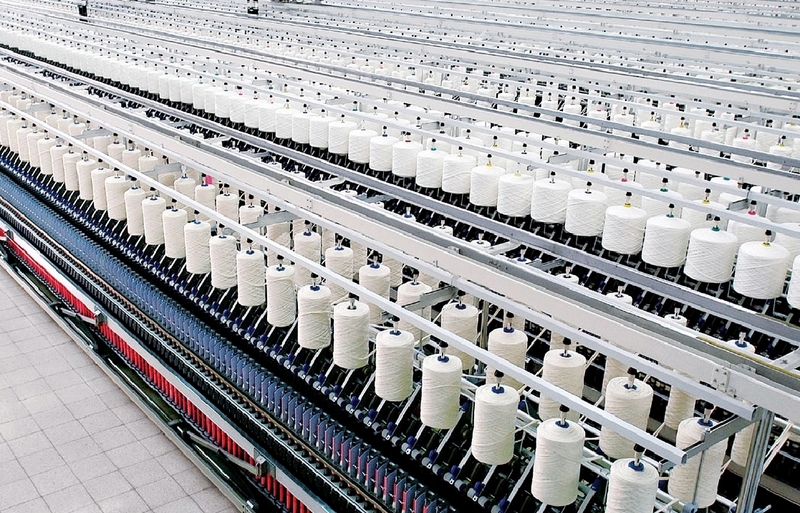 Industrialisation has transformed textile production from a decentralised and diverse system into a centralised system demanding uniformity of raw material. This transformation has had a profound impact on the relationships among the different actors within the textile production system, such as the growers of cotton and the spinners and weavers of cloth. Whereas previously, the relationships among these actors were relatively equal, with exchange happening directly among many small producers, the mechanisation of spinning, which was the first stage in the industrialisation of the entire industry, shifted the power relations in favour of the centralised spinning mill. This power enabled the mill to start dictating terms to the cotton growers and weavers. These terms were not only financial, but also related to quality, particularly fibre length. Due to the inflexibility of the new spinning machines, the mills developed strict requirements regarding fibre length, with long-staple fibres being valued over short-staple, as these were easier for the machines to spin. 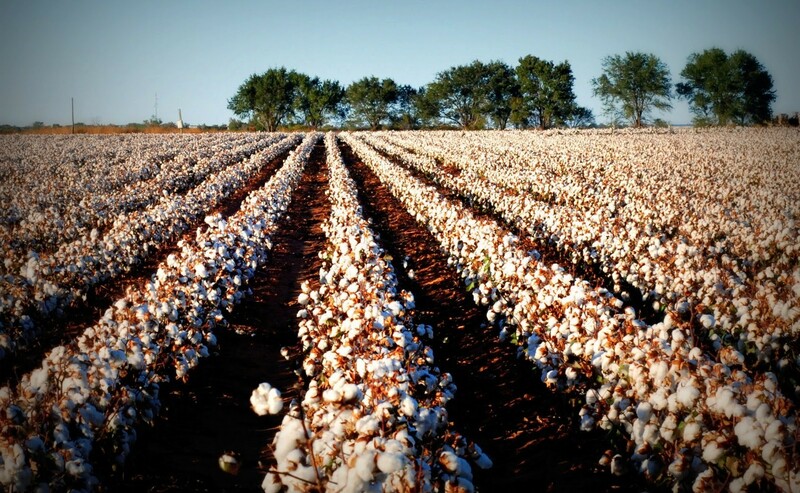 This led to a decline in the cultivation of indigenous cotton varieties, as these were mostly short-staple, and an increase in the cultivation of long-staple varieties, most of which came from abroad. The authors of A Frayed History point out that industrialisation’s demand for uniformity and long-staple fibre was entirely unsuited to the Indian textile industry. For centuries, India’s natural advantage had been its diversity of cotton varieties, which were adapted to the local climate and could withstand many environmental stresses. Most of these varieties were short staple, but the short fibre length was not a problem under the old system, as weavers had special equipment that was adapted to using it. Today, as a result of industrialisation, indigenous cotton varieties, known as desi cotton, have been almost wiped out. They have been replaced by long-staple BT cotton, a transgenic hybrid that now accounts for around 95% of India’s cotton growing area. BT cotton was introduced as a solution to the pest problems plaguing cotton, but these problems would arguably never have become so severe if indigenous varieties had been promoted, as these are fairly resistant to pest attacks. They are also very tolerant of disease, drought and salinisation, so are highly suited to our changing climate. The authors argue that India made a mistake in embracing BT cotton and that it should instead build on its natural advantages of indigenous cotton and its large handloom sector. To do so, they recommend descaling ginning technology to the village level to serve the local fields growing indigenous varieties, and subsidising the handloom sector so it can compete with the (already subsidised) power loom sector. Handloom weaving is a low-energy form of textile production and is one of the few sources of employment in rural areas. It therefore addresses two of the biggest challenges India is facing: rural unemployment and climate change. The authors believe that the above measures will enable India’s cotton and textile industry to become stronger and more environmentally sustainable. Before the industrial revolution, India’s textiles were highly prized across the world for their quality and diversity. 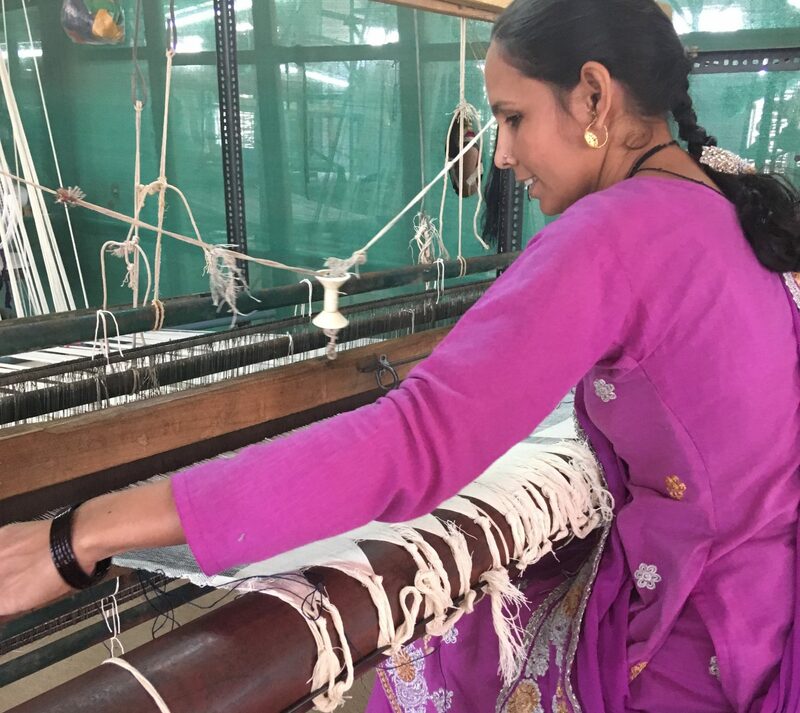 By harnessing its natural advantages, India could regain its lost heritage as one of the world’s greatest producers of textiles. Across India, there are a handful of organisations that are putting the authors’ recommendations into practice. From growing indigenous varieties of cotton to developing small-scale ginning technology that can be used by local farmers, these organisations are pioneering a more socially inclusive and environmentally responsible form of production. Over the past few years, I have had the opportunity to visit two of these organisations and I will write about them in a future blog post. Both are remarkable organisations and represent beacons of hope that the Indian textile industry can regain its glorious diversity and return to being the envy of the world. Thank you to Kishore Shah, co-founder of the Khadi Initiative for recommending ‘A Frayed History’ to me. To learn more about India’s fibre diversity, come along to the Festival of Natural Fibres at Craft Central, London, on Saturday 8th September 2018. Information and tickets can be found here. Katie Anderson is the founder of Ecosophy, a sustainable home textiles brand. 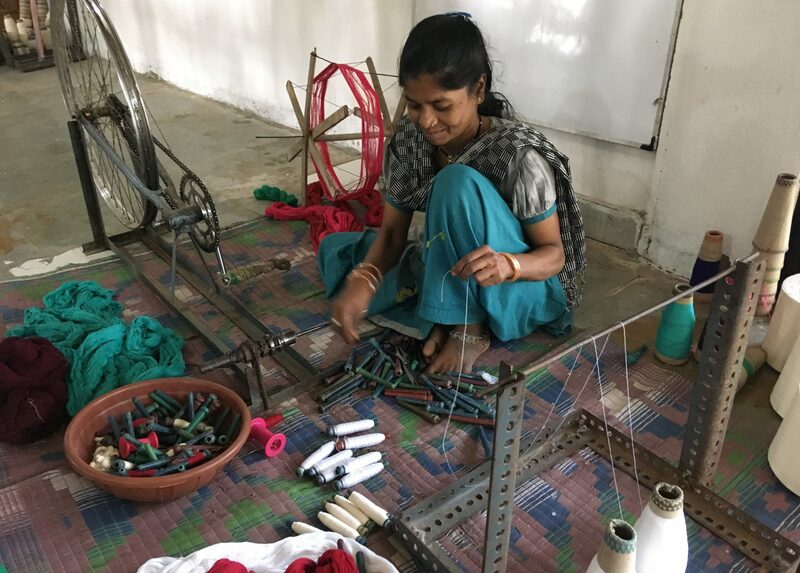 Katie has post graduate degrees in anthropology and development, and is particularly interested in how organic textile production can contribute to sustainable livelihoods in rural India. To learn more about Ecosophy, click here.